Here’s a quirky thing I do that I’m only moderately ashamed to admit. When I see people in convertibles with their top up on nice days, I scream at them to put the top down. It makes a convertible cry when the top is up and the sun is out. It isn’t fulfilling its convertible’s destiny. Why admit to such a ridiculous thing? Well this week, I drove a brand new convertible and you can bet your dollars I drove top down as much as possible in the 2016 Buick Cascada. 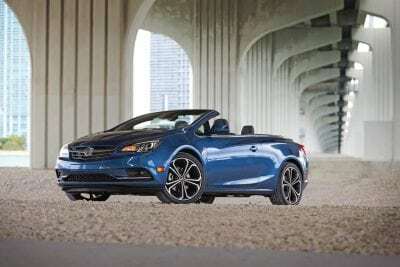 I love convertibles and I was excited to learn Buick was going to make a four-person cruising-style convertible. The Cascada breaks the mold of convertibles as there’s roadsters like the Miata and then there’s muscle cars and then European drop tops. 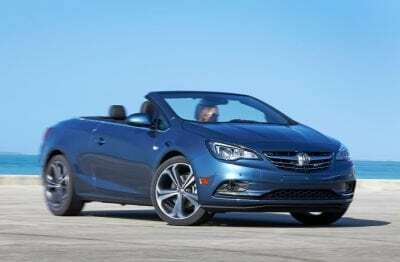 The Cascada really isn’t trying to rival any of those other convertibles, although it is based off the German Opel brand. 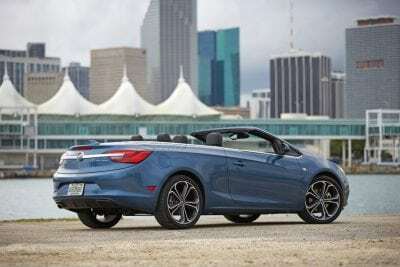 The Cascada can perhaps be loosely compared to something like the Audi A3 convertible. 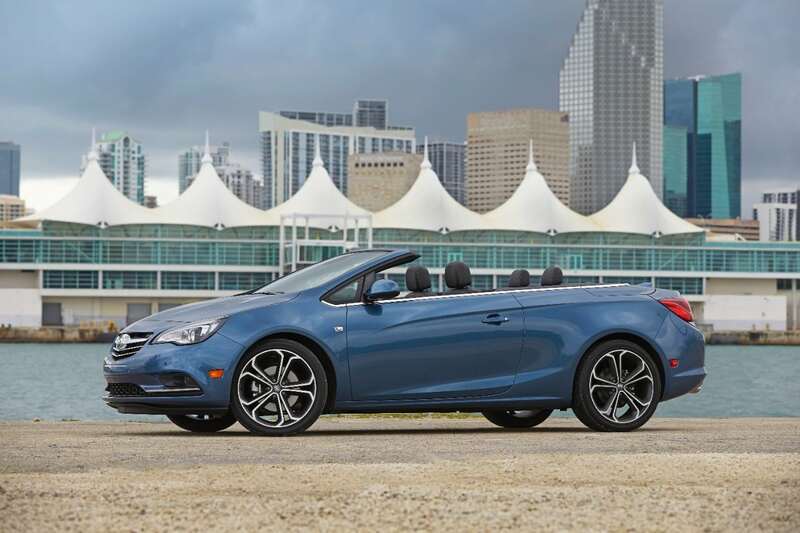 The Cascada’s European influence is clear in the styling. The smaller grille is elegant and classy. 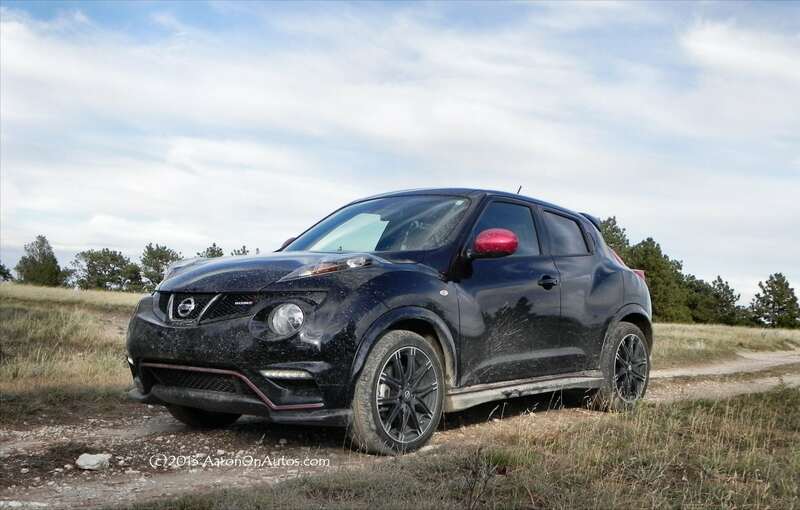 The streamlined hood flows well with the sharp angle of the A-pillar. The most intriguing feature of the A-pillar is a triangle-shaped window that wraps around the windshield. 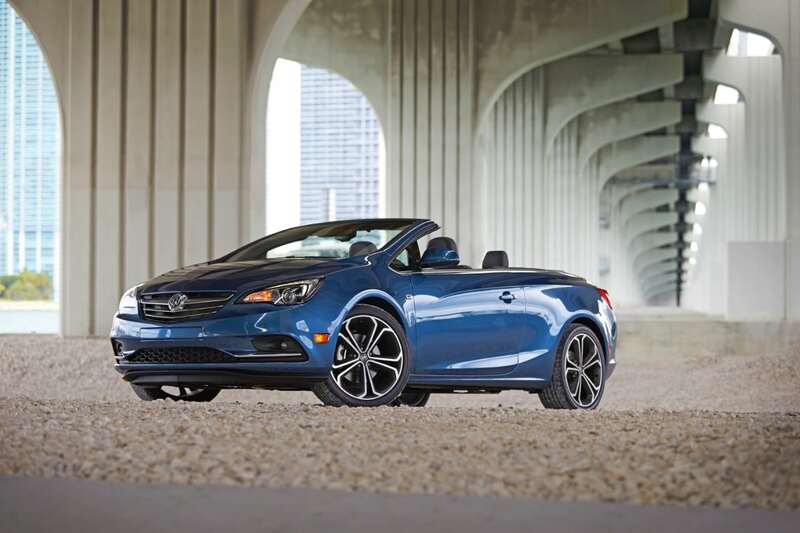 This helps reduce wind and road noise and also is a cohesive element of the Cascada’s exterior style. 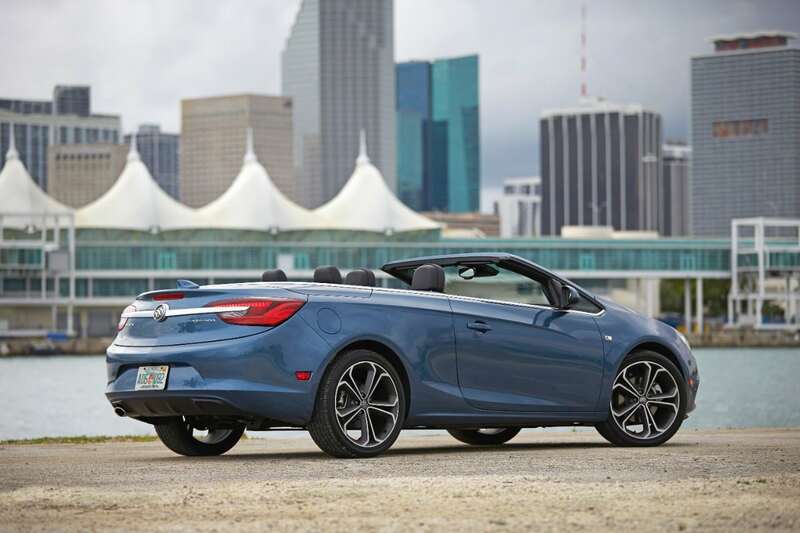 The Cascada has a 1.6-liter turbocharged four-cylinder engine that powers it. 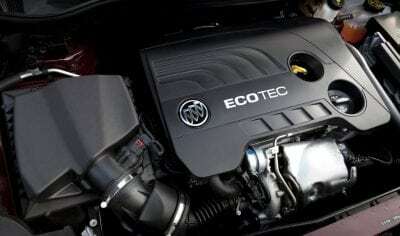 Small turbos are a hot trend in the auto industry currently with these fuel-efficient engines making fun power. Due to the Cascada’s nearly two-ton weight, the engine is outmatched. It’s not the little engine that could. While there’s 200 available horsepower for the Cascada, it performs much slower. The 0-60 time is 8.6 seconds. The six-speed transmission presents some turbo lag too. 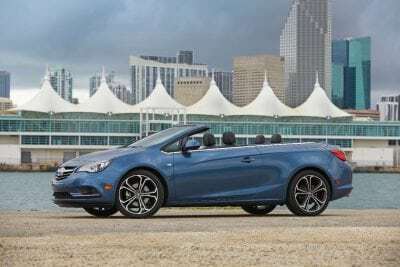 Performance-wise the Cascada is a little too refined. If it were a smaller roadster with that kind of power it’d be a lot more fun. But as such, the only thing that makes it enjoyable is the wind in your hair and the open road. It’s a good cruiser-type convertible, but there’s little sporty about it. 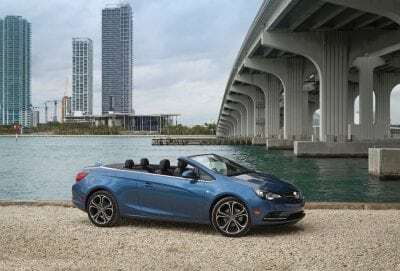 A cool feature, and unique to convertibles, is that the Cascada’s roof can be opened or closed at speeds up to 31 mph. This is a fantastic feature on a cloudy day when you aren’t sure to have the top down. And it keeps certain auto journalists from yelling at you about driving around with the top up! The inside of the Cascada is everything you expect from a Buick. There’s soft materials, attention to detail and comfortable seats. The two-person back seat may lack legroom for taller passengers, but still has more room than other convertibles on the road. With the top up, the Cascada is quiet, as are all Buicks. It’s the quietest convertible I’ve driven, and the most comfortable as far as getting in and out of it. The heat-reflective seats are extremely soft and comfortable. And the cargo room (for a convertible) is impressive. With the top up there’s 13.4 cubic feet along with a 50/50 split in the back seat for additional storage capacity. With the top down there’s still 9.8 cubic feet of space, which is actually above average for a drop top. The single biggest let down for the Cascada is in the dizzying array of buttons and knobs on the center stack. There are more knobs and buttons than I’ve seen in any car. It is very overwhelming and will undoubtedly cause frustration for those who buy this Buick. A 7-inch diagonal color touch screen showcases some of the technology found including smart phone integration and some neat convenience apps like Siri Eyes and Voice Text. Like other GM vehicles, there’s a 4G LTE WIFI hotspot available. 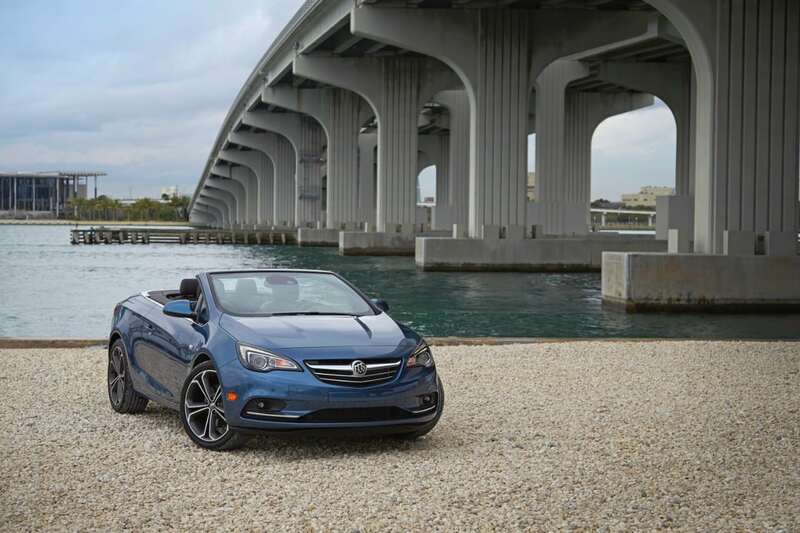 The Cascada has only two trims, which is simple for the consumer. The 1SV is the base trim which comes with plenty of standard features. The 1SP is the premium trim, which is what I drove and it has such niceties as automatic wipers, front-collision alert, lane departure warning and parking sensors. My tester had an MSRP of $36,065. With a few add ons, the final price tag was $37,385. With the small, underpowered engine, the Cascada has good fuel economy. It has an EPA rating of 20/27 mpg. I averaged a little over 24 mpg in mostly suburban driving. 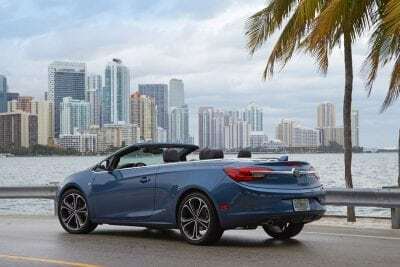 My week with the Cascada left me feeling slightly disappointed after having such high expectations. For as much as I love convertibles, it wasn’t as fun as I hoped for. It’s too conservative and while it’s beautiful and comfortable inside, I just wanted more of the “weeeee” factor. What Are The Chances That You’ll Have A Car Accident?